You are at the right place in finding the best commercial locksmith in the Philadelphia area. If you own your own commercial property, then we know that you have worked incredibly hard to do so and you are proud of your work. However, you should also be taking necessary steps to keep said property safe. 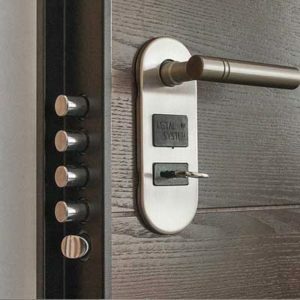 Star Locksmith Philadelphia is a commercial locksmith and we will be able to provide you with options that will leave your property better protected. Star Locksmith Philadelphia has been in business for years and it is our business to make sure that your business is protected. If you have people aside from yourself in and out of your building on a regular basis, you should have a safe. You should also have high security locks to keep unwanted people out at all times of the day and night. Even if you aren’t concerned so much with theft, what about convenience? Do you use a master key system in order to stress less and stay more organized? A locksmith that specializes in commercial solutions will be able to help you out with all of these things. Don’t hesitate to call us if you are interested in a hassle-free consultation, completely free of charge. We will take the time to answer any questions that you might have. It is our hope that you will make the right choice and call us when you require the solutions of a residential and commercial locksmith. No other locksmith in Philadelphia can provide better assistance than we can. So what are you waiting for? Call us so that we can share our knowledge with you. Star Locksmith Philadelphia is looking forward to assisting you.